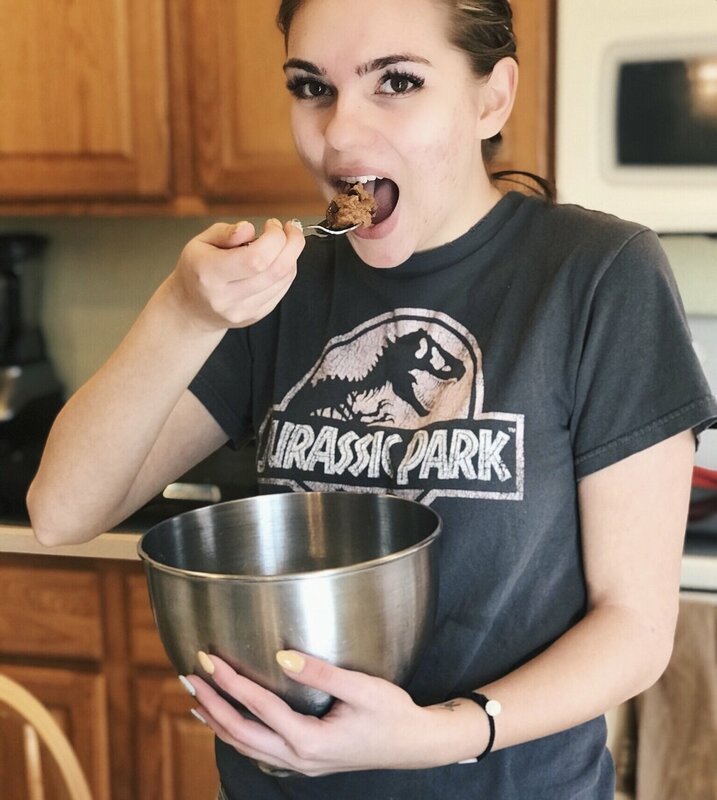 Welcome to the second blog in this series: Confessions of an 18 year old baker. Today we will be making cookie brownies! These are one of Nicks favorite snacks, and he will love them when I give them to him! Anyways, lets get baking! High altitude (3500-6500): For 1 box, stir 1 tablespoon of all purpose flour into dry brownie mix. Confession 1: I did not follow the high altitude instructions, and I didn't listen to my mom when she reminded me. Don't worry I got lucky this time and they turned out great. Mix all of the wet ingredients and then slowly add in the brownie mix. While it was mixing, I greased and floured my baking pan. Confession 2: my mom had to help me spread it around. I didn't get a photo pouring it into the pan, but pour the batter and spread the mix all over the pan and move on to the cookie part. Mix all of the ingredients together, until the dough is soft. Drop cookie dough evenly into the brownie mix. My pan size was about a 11" x 7", so I baked it for 40-41 minutes. I'll leave different pan sizes cooking times below. Here's my finished product! This one wasn't as bad as the Chocolate Chip Quick Bread, but that's okay! It just means I'm getting the hang of this baking thing. If you ever make this recipe, DM me on Instagram and tell me how it went! This was a pretty successful baking experience and I hope you enjoyed!